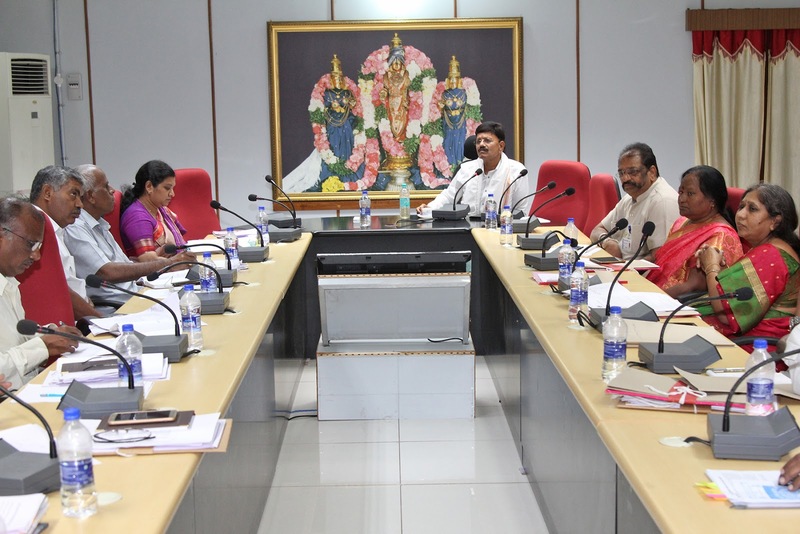 Tirupati, 11 Feb. 19: The JEO, Tirupati Sri B Lakshmi Kantham on Monday reviewed with officials concerned on the arrangements for Radhasapthami in local temples. 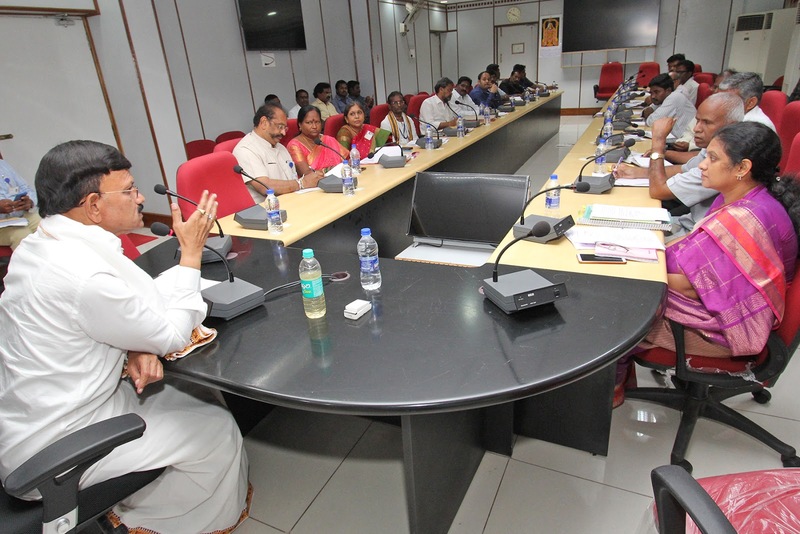 The meeting was held in the conference hall of TTD administrative building. The reviewed on the security set up, queue line, engineering works, annaprasadam and water distribution services, sanitation, devotional programmes, floral and electrical decorations etc. SE Sri Ramulu, SE Electrical Sri Venkateswarulu, VGO Sri Ashok Kumar Goud, DyEOs of all the local temples were also present.